Occupation : Assistant Professor, Computer Engineering Department, Sandip Institute of Technology and Research Centre, Nashik. Exam. 070-315 , Microsoft Certification for ASP.net under C#.net with score of 1000 out of 1000 marks in certification exam. Principal Investigator for NVIDIA CUDA Teaching Center, Sandip Foundation's Sandip Institute of Technology & Research Center, Nashik. Principal Investigator for NVIDIA GPU Education Center, Sandip Foundation's Sandip Institute of Technology & Research Center, Nashik. .
Two Days Workshop on "C-Programming", for Technical Assistants of IT and Computer Technology Department, K.K.Wagh Polytechnic, Nashik. Expert Lecture on “Java Programming” for the students of SE (E&TC),SITRC, 24th-March-2015. Judge for “MVP-Shitij 2015”, NDMVP College of Engineering, Nashik, 16th & 17th March-2015. Reviewer for conference cPGCON 2015 conducted at MET,Nshik on date: 13-March-2015. Attended Two Days Training on “Quality Management System” as per ISO 9001-2008 conducted on Date: 26th -Oct-2010. Attended Object Oriented Analysis & Design using UML with Fundamentals of Rational Rose,Course code- DEV475, conducted by IBM on dates: 8th-11th March – 2011. Attended a Three Days Workshop on "Scilab for Beginners", Funded by the NME-ICT,MHRD through IIT Bombay conducted at SITRC, Nashik on Date: 5th – 07th April 2011. Attended Two Days Workshop on "Awareness for NBA Accreditation",conducted on dates:8th -9th Sept-2012. Attended Two Days Regional Conference entitled “NextGen Computing” on Date: 8th & 9th Feb-2013 at Nashik. Attended a One Week Workshop on "Hadoop Big Data Set",conducted on dates:9th -13th October-2014. Attended a Three Days Workshop on "Hadoop- Bigdata ",conducted by Prygma EduCorp on dates:10th -12th July-2015. Attended Ten Days Training Program on “Big Data Analytics” Sponsored by DST, Government of India under Big Data initiative on Dates: 2nd -May – 2016. Attended a Three Days Workshop on "Agile Methodology ",conducted on 2nd – 4th Sept-2017. Attended a Three Days Workshop on “Agile Methodology- Software Requirement Specification Techniques and Tools",conducted on 15th – 17th Sept-2017. CSI Young IT Professional Award-2017 conducted on date: 16th -Sept-2017. 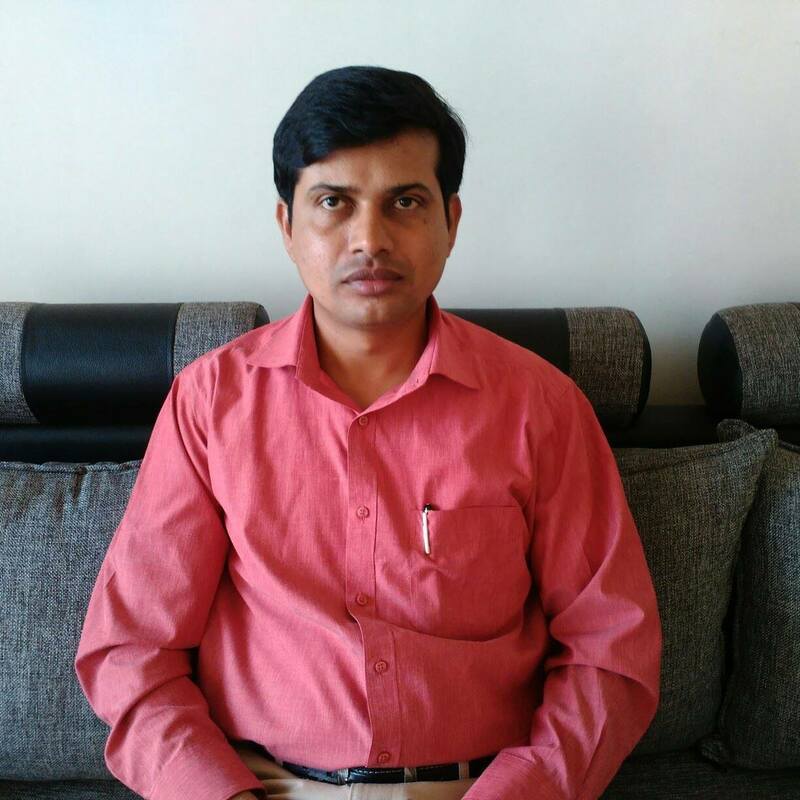 Lecturer in Computer Technology Department, K. K. Wagh Polytechnic, Nashik. Currently working as a Assistant Professor, Computer Engineering Department, Sandip Institute of Technology and Research Centre (SITRC), Nashik. Worked as Programmer in STP Global Solution Pvt. Ltd, Pune from April 2007 to 29-Nov-2007. Worked as Software Developer in NMC Software Pvt. Ltd., Pune for Nov 2005 to March 2007. "Source to Source Compiler", ICRET'2014, Elsevier, ISBN 978-93-5107-220-1, March-2014. "Enhancing Speed of SQL Database Operations using GPU", 2015 International Conference on Pervasive Computing (ICPC), IEEE. "An automated Tool for converting directive based c code into parallel CUDA code", ICCCCS -Pune ( ISBN 978-93-84209-04-9 ), April-2014. "Augmenting Speed of SQL Database Operations Using NVIDIA GPU", International Research Journal of Engineering and Technology (IRJET), Volume: 02 Issue: 03 | June-2015, e-ISSN: 2395 -0056, p-ISSN: 2395-0072. "IVRS and DTMF based Voting System", ICEECSME-PUNE 2014 ( ISBN 978-93-82702-69-6 ),March-2014. Data Glove Controlled Virtual Musical Instruments , IJASEAT 2014,E-ISSN 2321-9009, PISSN 2321-8991, April-2014. "Acceleration of Video Conversion on the GPU based Cloud", International Research Journal of Engineering and Technology (IRJET), Volume: 02 Issue: 03, June-2015, e-ISSN: 2395 -0056, p-ISSN: 2395-0072.